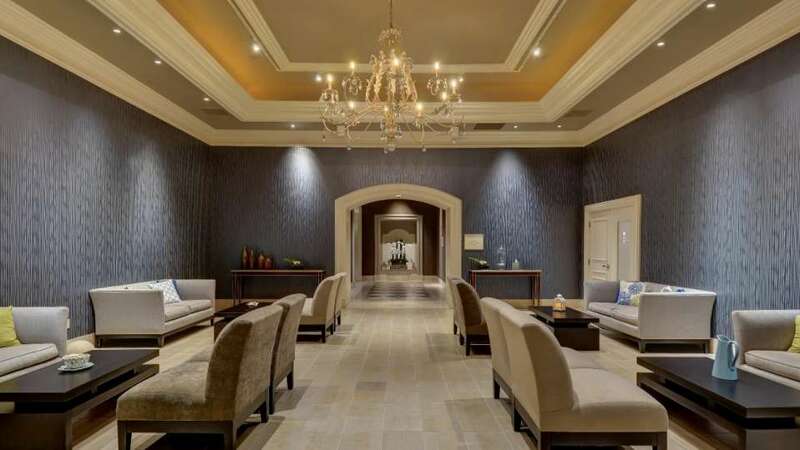 The 30,000 square foot, world-class Spa Mandalay combines the best techniques and products with skilled professionals to usher you into a level of relaxation beyond your imagination. Book individual spa treatments or purchase a day-pass and enjoy the spa for a full day. Below you’ll find our newest spa packages as well as the full menu of available treatments. To make an appointment at the hotel spa call 1.877.632.7300. Hours of operation are subject to change with no advance notice. Facility Access is subject to availability. Management reserves all rights. As a sweet treat, enjoy a uniquely handcrafted, aromatic soap as your gift with any Spring Service. Limited-time offer. Offer not valid in conjunction with any other promotions. Management reserves all rights. A 20% service charge will be added to all spa treatments. 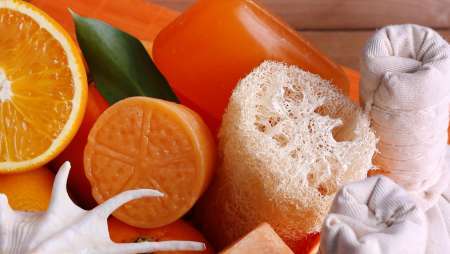 Refresh in this exfoliating body treatment as orange peel and natural oils are applied, to bring that luster back to your skin leaving you deliciously soft and deeply moisturized. Consult with your therapist to create a customized massage session to address your specific needs utilizing a variety of massage techniques designed specifically for you! Heighten your senses and elevate your massage experience. As soothing and uplifting benefits of unique essential oils bring balance to your body and mind. Heated stones are used to melt away tension by transferring warmth directly into the muscle. The combination of deep penetrating heat and traditional massage techniques are sure to transport you into a state of tranquility. During this special time, a nurturing relaxation massage for women in their second and third trimester can help alleviate the effects of pregnancy. Headaches, swelling, fatigue and soreness can all be addressed so mom and baby can be at ease. Areas of the feet directly correspond with organs in our body. Enjoy a reflexology-based lower leg and foot massage. Tired feet will rejoice; however, the entire body benefits. Invigorate yourself with this full-body sugar scrub! This skin-softening treatment is followed by a full body lotion application that leaves your body hydrated and refreshed. Let your skin naturally glow with this dry skin-removing treatment with honey-infused Fijian sugar and coconut milk. When both are combined, the sugar breaks down and the natural acids of the formula begin to remove dry skin. Finish this treatment with a body butter application to hydrate and nourish your skin. An invigorating exfoliation, soothing wrap and targeted application of naturally active ingredients. This treatment is designed to relieve swollen, stressed and tired legs and feet, increasing blood circulation. The perfect remedy after a long day of travel, sightseeing or a late night on the town! Quench your skin’s thirst. A truly hydrating experience as pure cocoa butter is massaged into the skin followed by a warm linen wrap, which allows the conditioning properties of this treatment to restore moisture. A perfect treatment for the dry, desert heat. Enjoy this intensely relaxing and hydrating treatment as elements of reflexology and hot stone massage soothe the neck, shoulders, feet and hand muscles. A gently exfoliating body buff softens the hands and feet followed by an intense hydrating treatment applied with a hot stone massage followed by a soothing scalp massage. Sink into a sense of Bliss and Balance with this powerful aroma wellness experience. Your journey begins with a rhythmic layering of therapeutic essential oils along ancient energy pathways in the body. The integration of a full-body custom massage, a sense-altering scalp massage, along with heat and the layering of precious oils, bring added dimensions of healing in stress relief, immunity enhancement and pain relief. 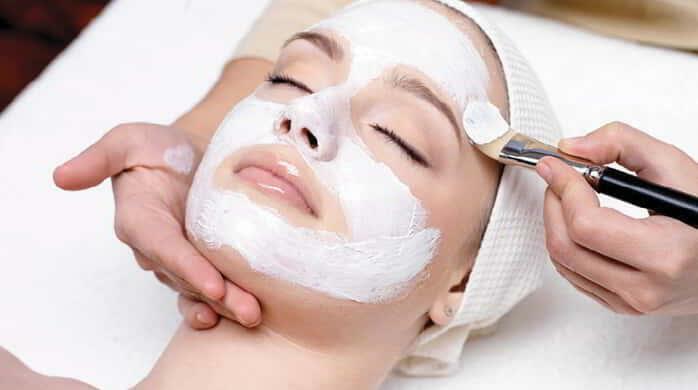 In this ultimate experience for face and body, this service includes a deeply hydrating full body exfoliation and wrap, with a customized facial tailored to all of your skincare needs. Enjoy each other’s company with a couples side-by-side full-body massage, as a light to medium pressure creates a relaxing experience. A perfect, pick-me-up facial. This express facial revitalizes, keeping skin hydrated and protected from stress and harsh, dry weather conditions. Does not include extraction. A facial for all skin types, this is an excellent introductory service. This facial includes skin analysis, cleansing, exfoliation, extractions, masque, and moisturizer to promote healing from within. A cleansing, balancing and therapeutic facial designed for men’s skin issues such as shaving irritation and sensitivity. This treatment targets skin impurities with exfoliation, extraction and masking. The stress-reducing facial massage will leave your face feeling refreshed and energized. An incredible moisture drink for your desert dry skin. This facial combats dryness and dehydration by harnessing the natural power of fruit, plants, flowers and herbs. Your skin is bathed in moisturizing fluid, after a gentle cleanse and exfoliation process. An incredibly hydrating and calming mask and finishing treatment will soothe and restore youthful moisture to your thirsty skin. The end of the line for acne with this powerful facial that jump-starts acne clearing and will calm your complexion leaving you feeling refined and clear. Reveal a brighter complexion with this 50-minute illuminating and oxygenating treatment. This is the perfect treatment to effectively contrast hyper pigmentation and promote brilliant skin. Improve the appearance of fine lines, skin tone, and radiance with visibly smoother skin. The latest in anti-aging technology is combined with targeted and active treatment ingredients, to achieve maximum results. Perfect for all skin types. Luxury and relaxation is combined beautifully with this ultimate results-driven treatment. Firmness and fine-lines are improved with advanced collagen inclusions. This luxurious facial provides the skin with a revitalized and youthful appearance. The perfect facial for aging and environmentally stressed skin. A full set, also known as artificial set, is a service where artificial nails are applied in order to extend the nail length and/or make it stronger, based on guest preference. This service treats the acrylic regrowth at the base of the nails and is applied in addition to existing acrylic. This service removes any acrylic / artificial nails from the natural nail. For any additional nail care, a manicure will need to be booked. Manicure that includes the application of gel polish - can only be booked if guest does not already have gel polish. This nail service includes the removal of gel polish, nail clean up, and a re-application of gel polish. This classic manicure includes complete nail shaping, cuticle treatment, lotion application and polish. Treat your feet with this classic pedicure with a soothing soak, complete with nail shaping, cuticle treatment, lotion application and polish. Embark on a Fijian journey as your hands are soaked in warmed Fijian coconut milk. Next, an exfoliation of cane sugar infused with exotic drift nut oils removes dull skin. Finished with a hydrating body butter massage. Drift away on a sweet tropical breeze. Embark on a Fijian journey as your feet are soaked in warmed Fijian coconut milk. Next, an exfoliation of cane sugar infused with exotic drift nut oils removes dull skin followed by a hydration mask wrapped in warm steam towels. Finish off this tropical experience with a deeply hydrating body butter massage. A manicure aimed to relieve sore muscles and work away tension in hands and forearm. A peppermint scrub is used to exfoliate, followed by a targeted application of cooling muscle relief lotion. The perfect pedicure for tired feet, this service incorporates a peppermint scrub and mask to soothe aches in the feet and legs. Complete the experience with a targeted cooling lotion massage. 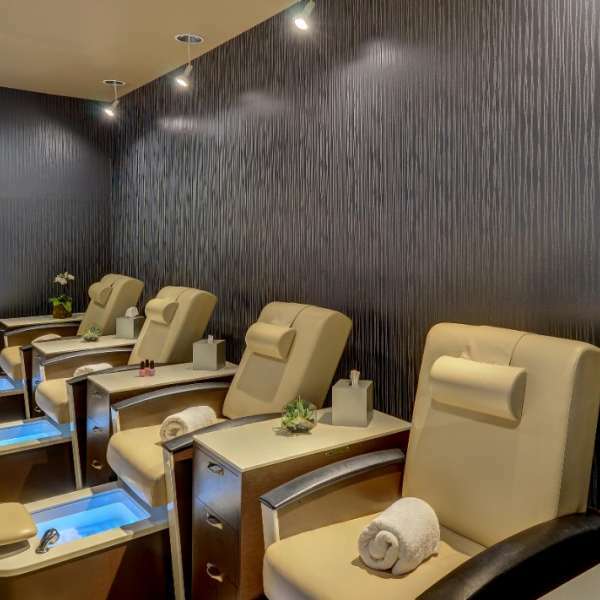 This extended manicure service includes a deeply relaxing hot stone massage to relieve tension in the hands and forearms, complete with an exfoliating scrub for smooth polished skin. This extended pedicure service includes a deeply relaxing hot stone massage to relieve tension in the feet and legs, accompanied by a hydration mask and exfoliating scrub for smooth polished skin. We kindly request at least a four hour notice for cancellation or rescheduling to avoid a 100% full service charge. 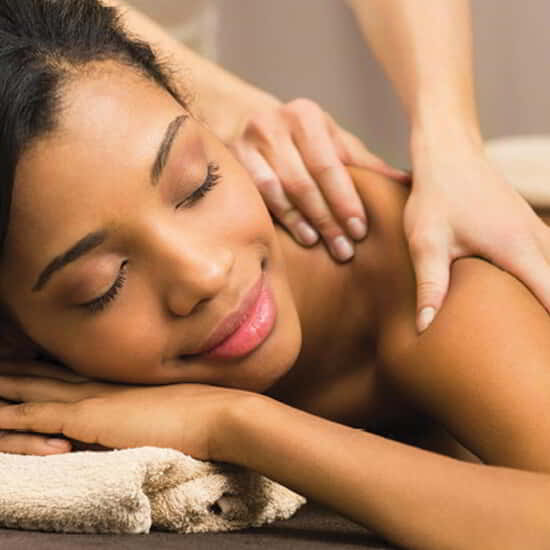 A 20% service charge is added to the price of each spa treatment, a portion of which will go directly to your technician. Additional gratuity may be added if you wish. Please call 877.632.7300 or use house extension 77300. 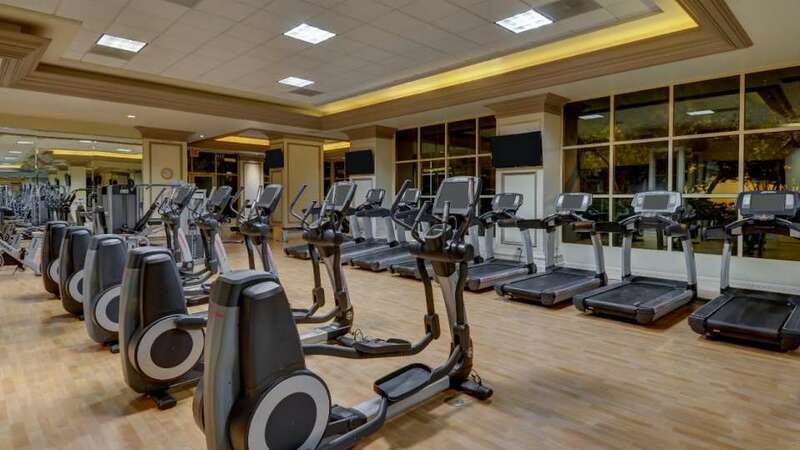 The 3,000-square-foot fitness center at Spa Mandalay features state-of-the-art equipment to promise a workout for all fitness levels. Oversized oak lockers contain robes, slippers, and towels, while dressing area vanities include a full line of health and beauty products. 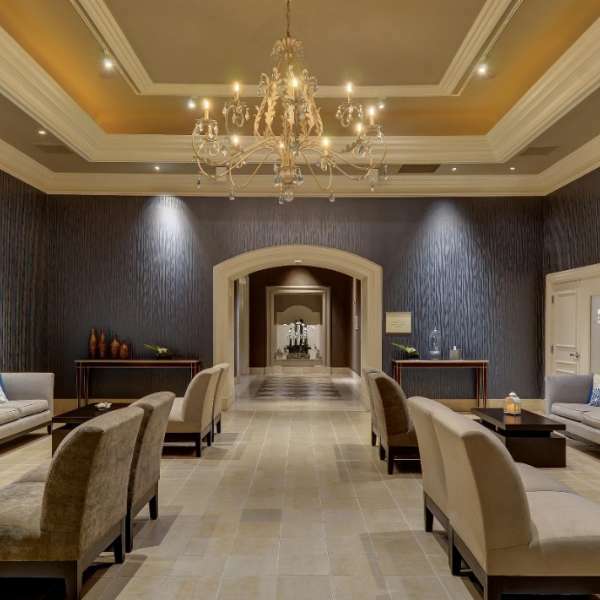 Access the fitness center with your spa treatment or purchase our spa day pass. 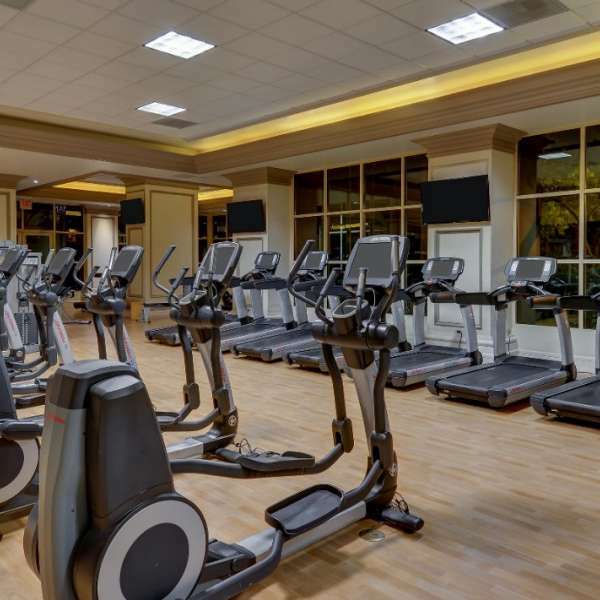 Cardio Center located on beach level is available with resort fee to Mandalay Bay guests. Book individual spa treatments or purchase a day-pass and enjoy the spa for a full or half day at your leisure. 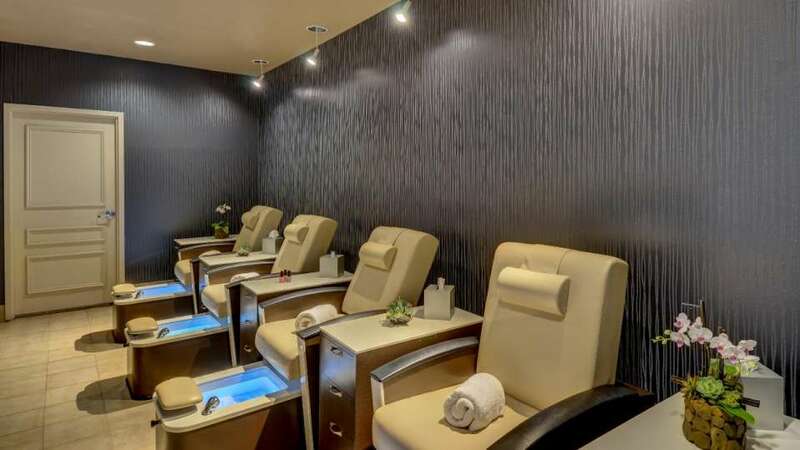 Enjoy our newly renovated pedicure room with state-of-the-art pedicure chairs. For those looking to treat themselves to new levels of relaxation and rejuvenation, welcome to Spa Mandalay. Our 3,000-square-foot fitness center at Spa Mandalay features state-of-the-art equipment to promise a workout for all fitness levels. Over-sized oak lockers contain robes, slippers, and towels, while dressing area vanities include a full line of health and beauty products. Please refer to our price card for facility fees. Spa Facility Passes available for hotel guests only. Spa Facility Passes are included with the purchase of any spa treatment. Fresh fruit as well as tea, fruit juices, bottled water and coffee. Advance reservations recommended for spa treatments by calling our concierge at 877.632.7300. Treatments start promptly at the times scheduled. To enjoy your spa experience to the fullest, please check in 30 minutes early. Gym access requires closed-toe shoes. Dress is optional while in the spa. Robes will be provided in each locker. While celebrating your spa day, please note that glass is not permitted in our spa. Please leave your valuables in your room. Cell phones should be silenced while in the spa to allow for a more relaxing experience. After checking in to the spa, we ask that you take a light shower prior to your treatment. Product returns are welcome on unopened products with an original receipt. Gift cards are available for our spas and may be purchased at check-in. Please inquire with a Spa Coordinator to design a special day for your group event. Our staff can also assist you in creating custom-designed spa gifts to enhance your guests’ experience. A form of payment will be required to hold appointments. To avoid a 100% cancellation charge, please cancel or change no less than two hours prior to your appointment start time. Take guest elevators to Beach Level. From beach level elevator bank, follow signs towards Beach. Spa Mandalay is just past Pearl Moon. Enter the doorways from the garage area and proceed on cobblestone walkway. Follow pathway as it veers to the right. At Fleur, follow the pathway to the left to the casino floor. Continue on the walkway and follow signs for lobby/guest elevators. Take guest elevators to Beach Level. From beach level elevator bank, follow signs towards Beach. Spa Mandalay is just past Pearl Moon. Daily facility fees apply. Advanced reservations suggested for spa treatments. Must be 18 or older to use spa facilities. 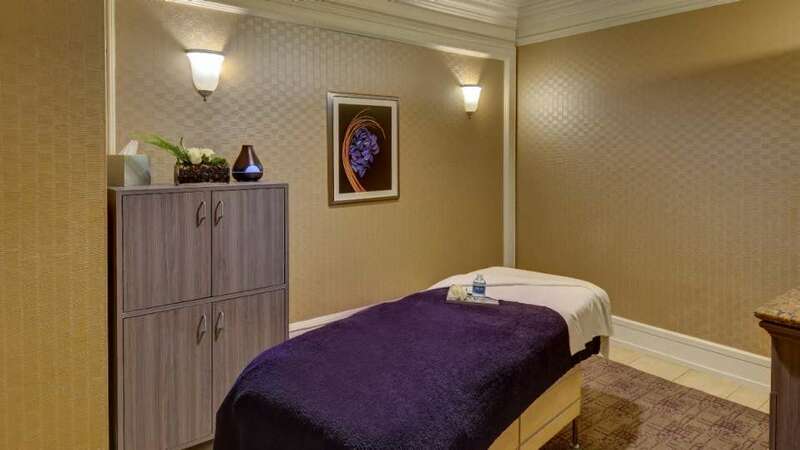 The facilities of Spa Mandalay and Bathhouse are available exclusively to guests of Mandalay Bay and Delano Las Vegas. BATHHOUSE Spa features steam rooms and saunas, as well as 12 treatment rooms where you can enjoy massages, wraps and facials. Relax in total luxury in this Forbes Five Star private spa.